This hotel is for lovers of nature, Casa Grande do Bachao sits spectacularly in its own 3 acre estate. A hotchpotch of typical Galician buildings brought together in a beautiful 12 roomed hotels with lots of lovely outside spots to admire the views and drink in the tranquility. A great spot from which to explore Galicia, it’s rugged coastline and the fabulous city of Santiago de Compostela and after a day of exploring you’ll probably not want to venture out again so book and dine in the great restaurant. Charm and rustic tradition in wild natural countryside weave nicely into one lovely, friendly and well-presented hotel, a real get-away from it all. Each bedroom is individually decorated and all equally as charming. 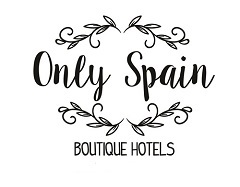 Have you visited a great hotel in or around Galicia that you’d like to recommend?